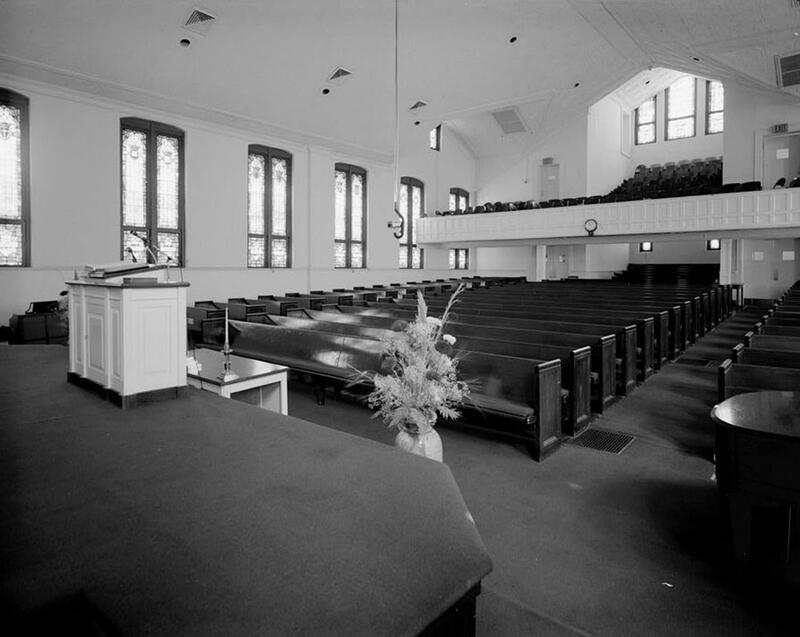 Ebenezer Baptist Church, perhaps the city’s best-known church, was founded in 1886. Rev. Martin Luther King Jr. and his father served as co-pastors in the 1960s. The church is one of the buildings at the Martin Luther King Jr. National Historic Site. 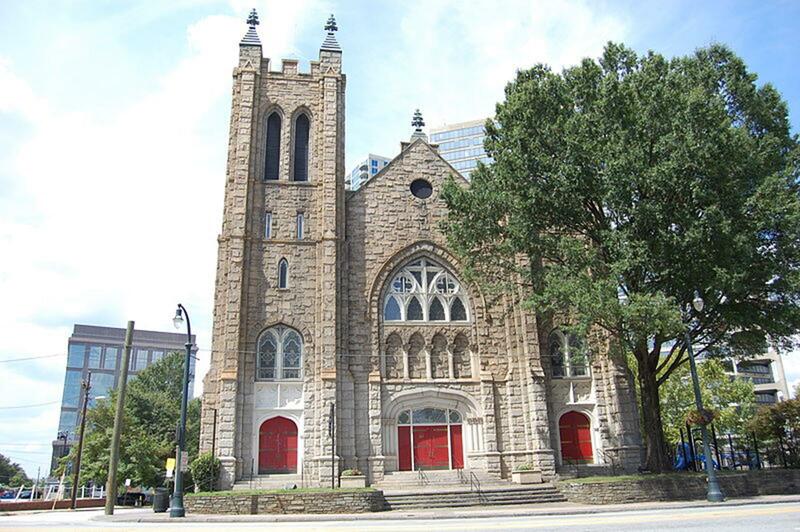 St. Philip’s Cathedral is the cathedral of the Episcopal Diocese of Atlanta. The parish was established in 1846 and by 1875 was the largest Episcopal parish in Georgia. The Cathedral has been at its current site since 1933. Guided tours are available. The Cathedral of Christ the King is the cathedral of the Roman Catholic Diocese of Atlanta. The parish was established in 1936 and was made the co-cathedral of the Diocese of Savannah-Atlanta one year later. The French Gothic Cathedral was consecrated in 1939. 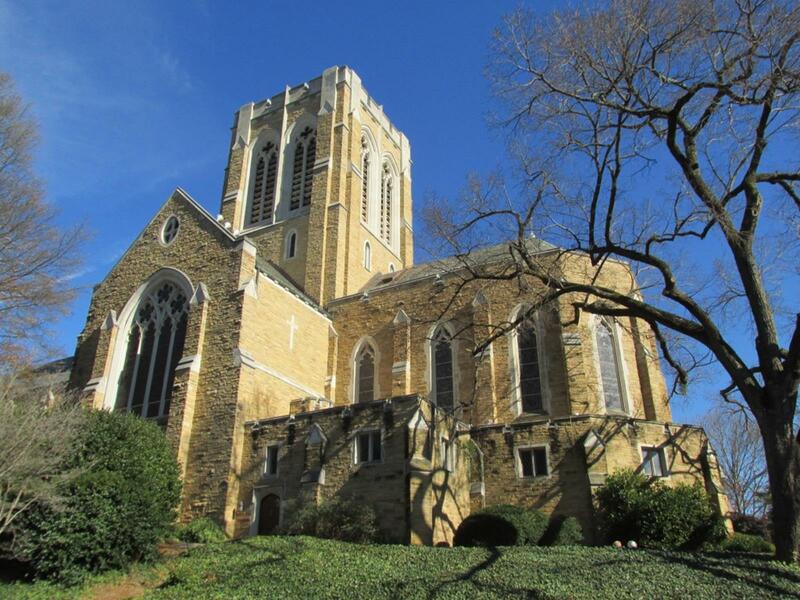 In 1956, the Diocese of Atlanta was created and Christ the King became its cathedral church. The inside of the cathedral features marble and stained-glass windows. First United Methodist Church was organized when Methodists built the Wesley Chapel in 1847 and raised money to buy a bell and construct a bell tower. The Gothic First Methodist Episcopal Church, South was built in 1870 with many stained glass windows. Asa Candler, the founder of Coca Cola, bought the property in 1902 and built the Candler building on the site. The parish built a new church in 1903 and installed the original bell in the bell tower. 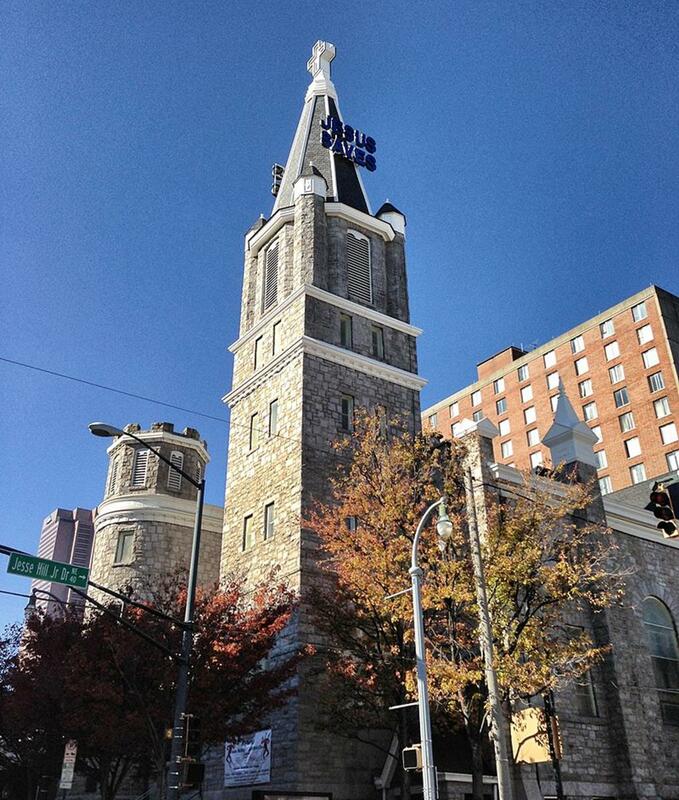 The name changed to First Methodist Church in 1939 and First United Methodist Church in 1968. Big Bethel African Methodist Episcopal Church, established in 1847, is the oldest African-American congregation in Atlanta. The church was originally Methodist but became African Methodist Episcopal after the Civil War. The first public school for African-Americans, Gate City Colored School, was founded in the basement of the church in 1879. In 1881, Morris Brown College, the only college in Georgia established exclusively by African-Americans, held classes in the church basement. President William H. Taft and Nelson Mandela spoke here in 1911 and 1990. The 1922 building has a neon sign on the steeple. The Martin Luther King, Jr., National Historic Site includes Martin Luther King Jr.’s birth home and Ebenezer Church. Don’t miss the International Civil Rights Walk of Fame. Visit the World of Coca-Cola to learn about Coca-Cola history. Highlights are Coca-Cola artifacts, a bottling line and an exhibit where visitors can taste over 60 Coca-Cola products. Take a 55-minute guided walking tour of Atlanta’s CNN studios to learn about news and broadcasting. See 30 acres of gardens at the Atlanta Botanical Garden. The Kendeda Canopy Walk is a 600-foot-long skywalk through the Storza Woods of oaks, hickories and poplars. Guests on the Kendeda Canopy Walk have aerial views of the gardens below. The Fuqua Orchid Center and Conservatory is a highlight. 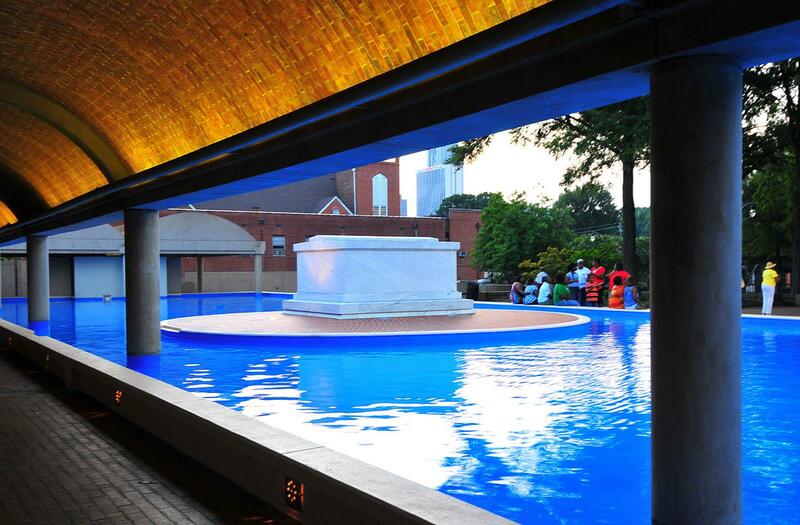 The Atlanta History Center features exhibits on the Civil War and 1996 Olympics. There are historic houses and gardens on the grounds. 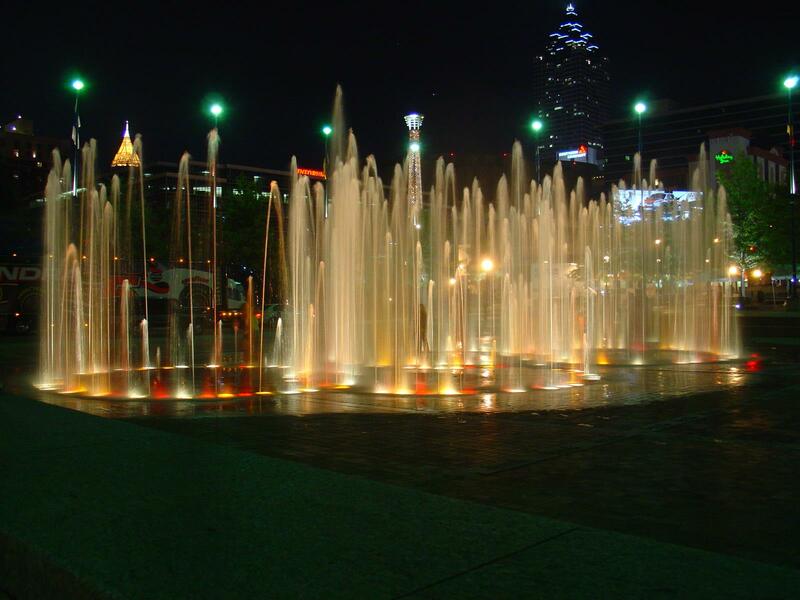 Centennial Olympic Park is a 21-acre park in downtown Atlanta. The park was built for the 1996 Summer Olympics and includes The Fountain of Rings, an interactive fountain with lights and music. Visit the Federal Reserve Bank Money Museum to learn about the history of money. Exhibits include rare coins and currency. There are exhibits on the federal economy in the Visitors Center. The Fernbank Museum of Natural History has exhibits on prehistoric creatures, cultural treasures, shells and more. There is also an IMAX theater. The world’s largest aquarium is Georgia Aquarium. The aquarium features over sixty exhibits in over ten million gallons of water. Don’t miss the whale sharks and the manta rays. 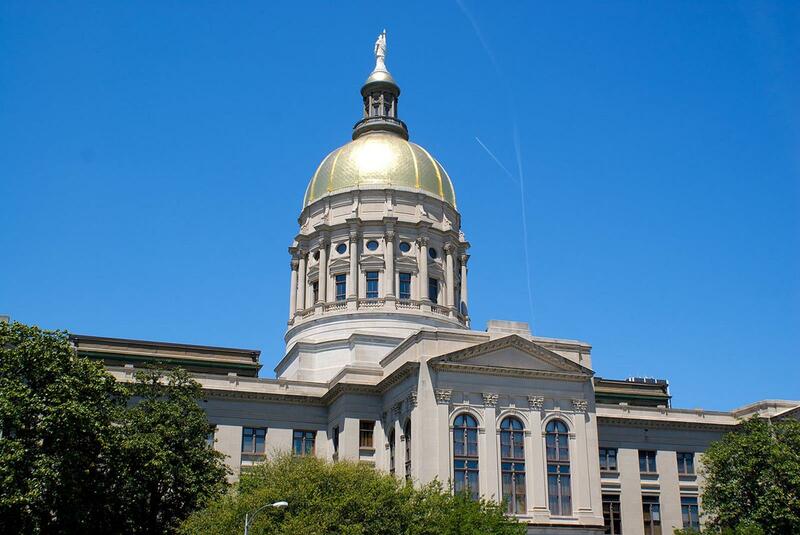 The Georgia State Capitol was built in 1889 and has a gilded dome. Visit the museum on the fourth floor to learn about the culture and history of Georgia. Guided tours are available. Stone Mountain Park features a large piece of exposed granite with a carving of Confederates Stonewall Jackson, Robert E. Lee and Jefferson Davis. Other attractions at the park include a 4-D movie theater, children’s entertainment area, rope adventure course and scenic railroad. Zoo Atlanta, open since 1889, is Atlanta’s oldest attraction. Don’t miss the gorillas and giant pandas. The Atlanta Dogwood Festival is held in April. The festival features arts, crafts, food and music. The National Black Arts Festival celebrates the art, dance, film, literature, music and theatre of African-Americans every summer. This is the largest festival of its kind. 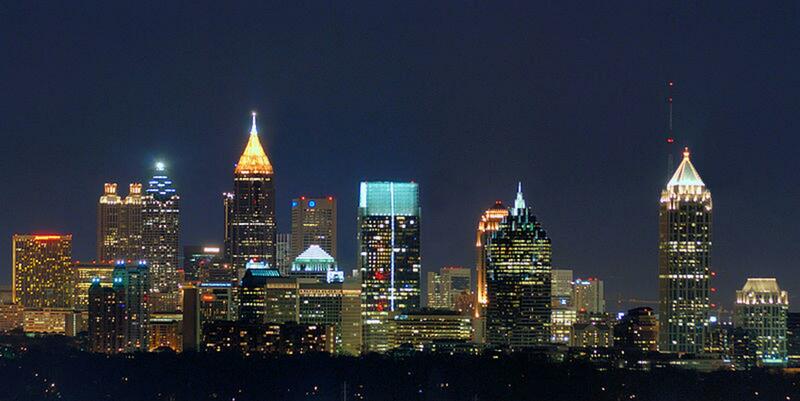 The Taste of Atlanta includes over 70 restaurants and is held every October. 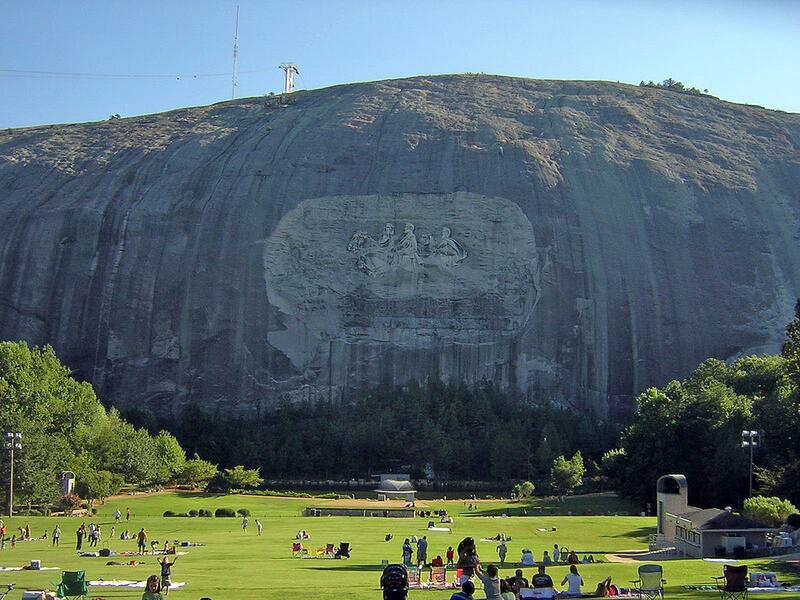 A faith-based trip to Atlanta will include great attractions, dining and religious sites, not to mention friendly people.